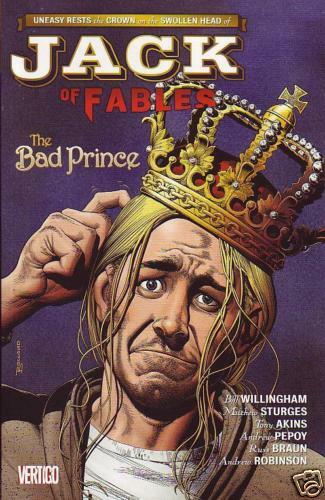 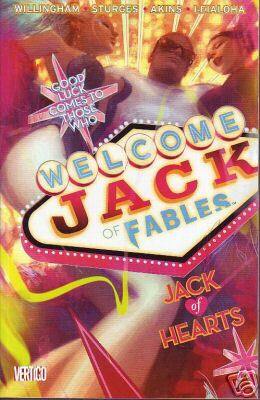 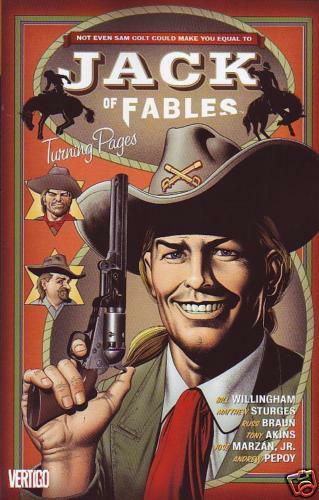 Jack of Fables volume 3 The Bad Prince, this trade reprints Jack of Fables #12 to #16. 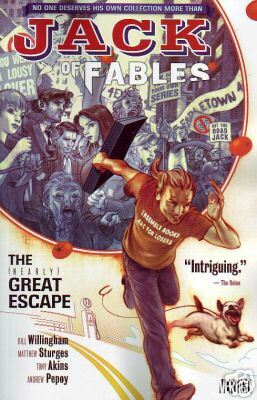 This series is a spin-off of Fables, one of the best and most popular Vertigo series coming out at the moment. 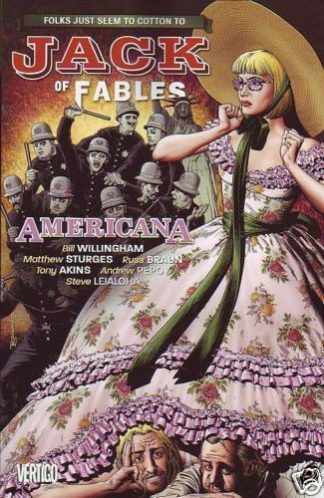 This series is written by Bill Willingham and Matthew Sturges, with art by Tony Akins.